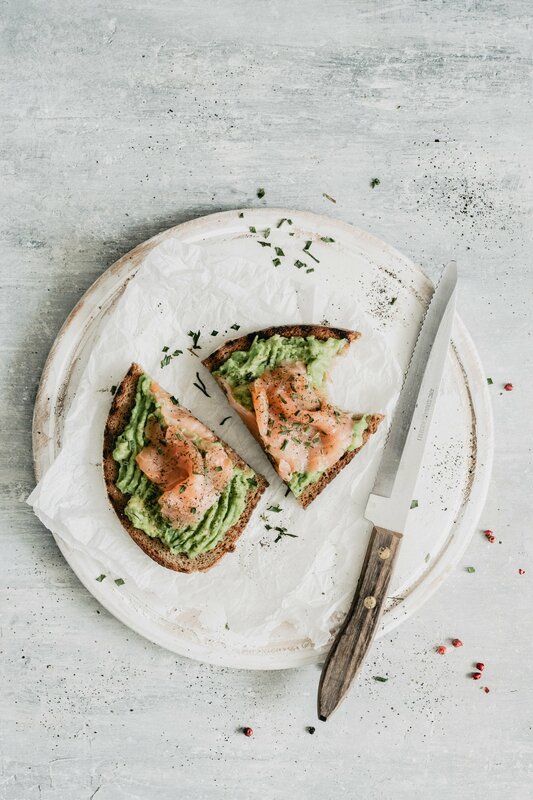 If you don’t know what to eat for lunch, have yourself this healthy avocado toast! You know, I’ve always been a curious kid. Always. I remember I discovered the existence of avocado a loooooong time ago, before all this Instagram avocado trend popped up. So, logically, once I found it out, I “sent” my mom at the local market downtown and asked her to see how much it costed and to ask the market stall’s vendor what it tasted like. The answer was ‘slightly like cheese’. WHAAAAAT? 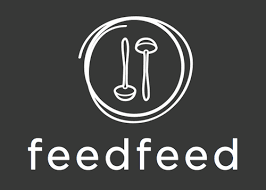 I’ve never liked cheese (lol read my post on Genoese pesto), you know it. I immediately abandoned the idea of eating it. A few years later, I bought one. Unluckily, I was not an expert on ‘ripe avocados’ and I ended up trying to mash it unripe. Fail. Let’s face it: it’s reality! One minute is perfectly ripe, the minute after – not literally fortunately – you have to toss it out (and I HATE wasting food). Look at the color of the skin: there are different varieties of avocados out there (Hass, Bacon, Fuerte…), but the skin should always have a darker green color (with most varieties). Gently squeeze the avocado without applying fingertips (could cause bruising and you don’t want that). It should feel soft, not mushy. If you are lazy – like I am sometimes – buy the ‘ripe and ready’ avocados (but if you can, avoid that plastic surplus!!!). Ok, avocado toast is fancy. Ok, ok, avocado toast became kinda fancy food to eat. There are avocado bars popping up everywhere! But you know what, I am actually happy, ’cause I love it! Plus, consider it’s actually a super healthy snack/lunch/brunch, especially if you add a protein food to it. One thing though. I’m not a nutritionist so take my advice with a grain of salt: the most delicious one is with egg + salmon, for sure, but both egg, salmon and avocado are packed with fats. Yes they’re healthy, but do not overindulge. 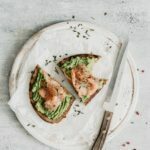 Ready to discover my three ways to make an healthy avocado toast? P.S. the nice thing is you can roughly make them by sprinkling some seasoning and drizzle lemon juice, so it’s super quick. Mediterranean avocado toast with tomatoes and oregano. 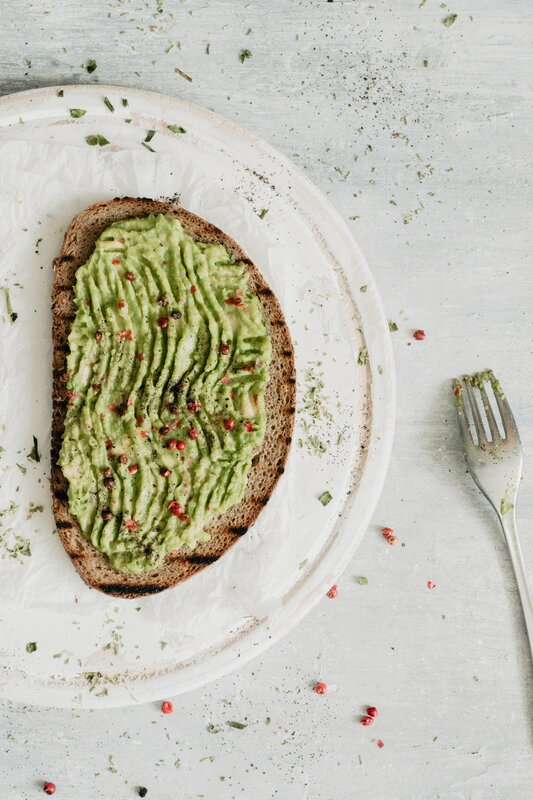 Enjoy this easy and healthy avocado toast! To make avocado toasts I usually use dried spices. Note: to make these 3 toasts I've used the pulp from 1 avocado and divided in 3. You can also divide it in 2. 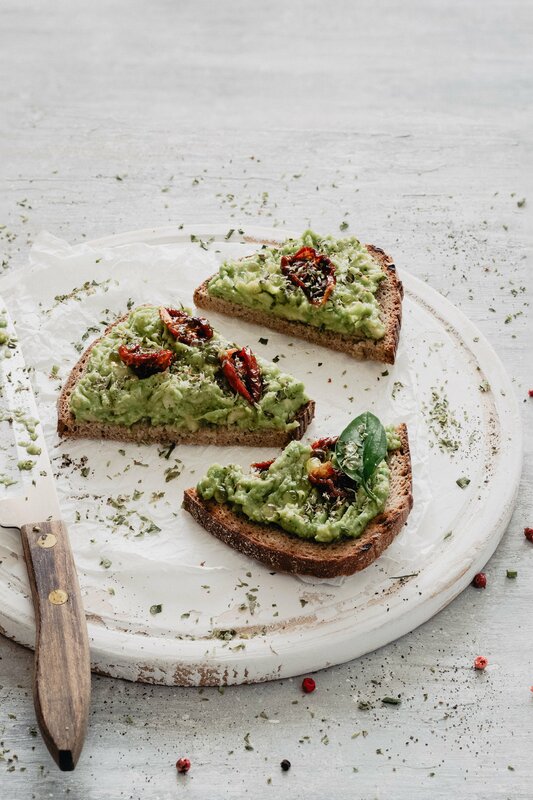 The base for these healthy avocado toasts is the same: toast your bread in a cast iron grill pan (or a simple pan), mash the avocado pulp and season with salt and pepper. Add lemon or lime juice on top of your toast and season with some red peppercorn. Garnish with chopped cherry tomatoes or dry tomatoes. In the photo above, I've used white vinegar pearls (just because I had them in my pantry). Garnish the toast with pieces of smoked salmon, drizzle lemon juice to "degrease" and sprinkle some dill or chives.